ORbike is the region’s only resource solely dedicated to promoting bike events and helping people find their next bike adventure. Since 2005 we’ve worked with ride organizers all throughout the region to bring more participants to their events. After a long and rewarding season of getting up at the crack of dawn, following course arrows, exploring new terrain and relaxing with finish line beers, we turn the authority over to our riders – and we let you vote on your favorite supported rides of the season. 375 of you weighed in on 70 regional rides and the results are finally in! Proof that size doesn’t matter! This hidden expedition takes riders through the forested region of the Southern Oregon Coast Range, stationed out of the little-known town of Powers, Oregon. This volunteer-run event pours gushing waterfalls of heart and soul into the beloved ride every year. In 2016 with a ridership hovering just around 200, we were astounded to see little Tour de Fronds snag first place (by a landslide) and then 4th place last year. “Well, the secret’s out now!” said one fan of the ride. 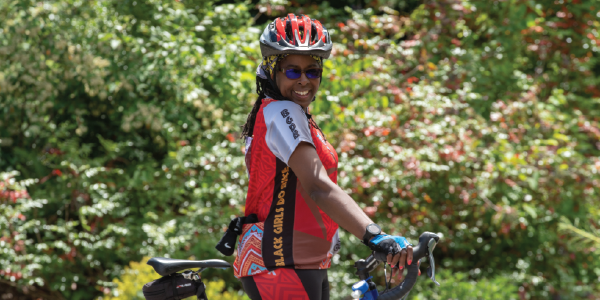 Back up at the top again, ride organizer Donna Freeman says being able to showcase that they are one of the best bike rides in Oregon has definitely helped increase their ridership every year. It may not be easy to get to the start line, and that’s definitely part of the magical adventure that is Tour de Fronds. Oh, and we should mention: Tour de Fronds didn’t just barely win first place: once again it was a landslide, pulling a whopping 26% of the votes! Tour de Fronds is June 15, 2019. This gem of a ride, also not large in size, is tucked away on the border of California and Oregon. The Art of Survival Century was started as a way to bring economic vitality to a struggling region. The area is home to one of the most tumultuous Japanese internment camps in US history, a tragedy the residents felt was holding them back from a healthy vibrancy they desired. This two-day ride, now heading into year six, is enlivening the gorgeous region. 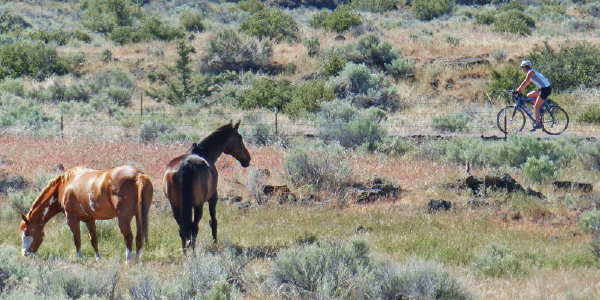 The course features wetland wildlife refuges teeming with bird life, Lava Beds National Monument, the friendliest volunteers and homemade granola bars – what’s not to love? Oh yeah, and every rider goes home with a sack of fresh potatoes from the farmer down the road. The Art of Survival Century takes place on Memorial Day Weekend every year. With camping on site and recreation destinations Crater Lake, Bend and Oakridge on the way to and from the ride, this event makes for a perfect holiday weekend getaway. Just when the flower farms of the Willamette Valley are bursting with color, in comes Petal Pedal, an annual exploration of this richly hued region. The ride is staged at The Oregon Garden, with onsite lodging, a hot tub, pool and more than 80 acres of themed gardens. Petal Pedal is June 22, 2019. Every September, the riders of Umpqua Velo sculpt five routes that take riders on a gorgeous tour of the lesser known roads in their region. 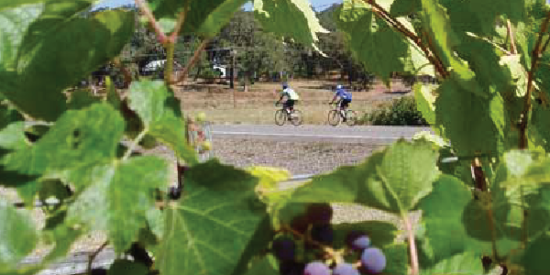 The routes meander along the majestic Umpqua river as they pass by dozens of vineyards, wineries, forests, fields, and orchards. This fun ride is tucked away in a stunning region that is quickly gaining in popularity. We were blown away when this ride earned second place in its very first year, and it is back in the ranks this year. 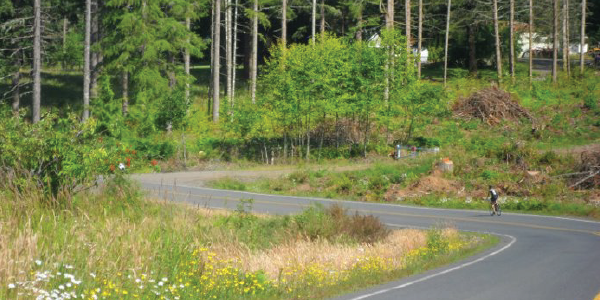 Riders say they love the lush, forested routes and an opportunity to explore quaint and nearly forgotten towns like Mist and Apiary. The start locations varies every year as the various small towns band together to make this ride possible. 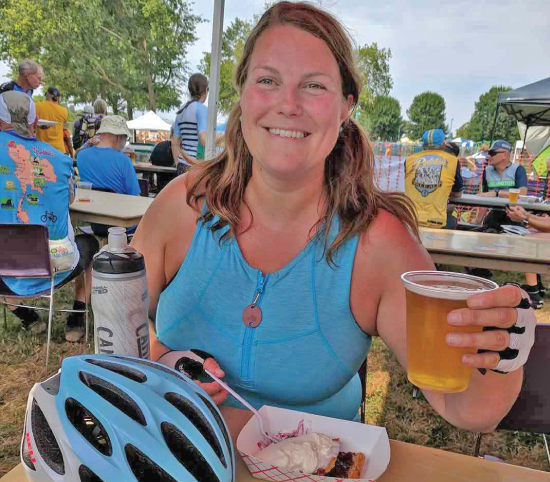 The Columbia Century Challenge is June 15, 2019. We can’t wait to see what you have planned for 2018! 2019 is sure to be a great year for bike events in the region! Many event organizers are already adding their events to our region wide calendar. Join our newsletter for updates on these and many other rides throughout the season. This gives me a list for riding with the Lord over the next year. Thanks Ayleen! Thank you to all our riders who have come from near and far to participate in the Tour de Fronds. Your vote made us #1 again. Along with rider support; it’s the exceptional scenery, low traffic roads, and awesome community support that help make this event one not to miss. 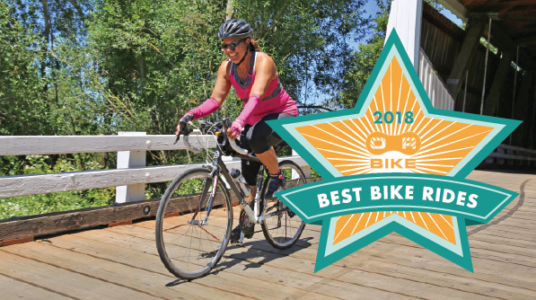 It is a real privilege to rank along side the Best Bike Rides in Oregon.